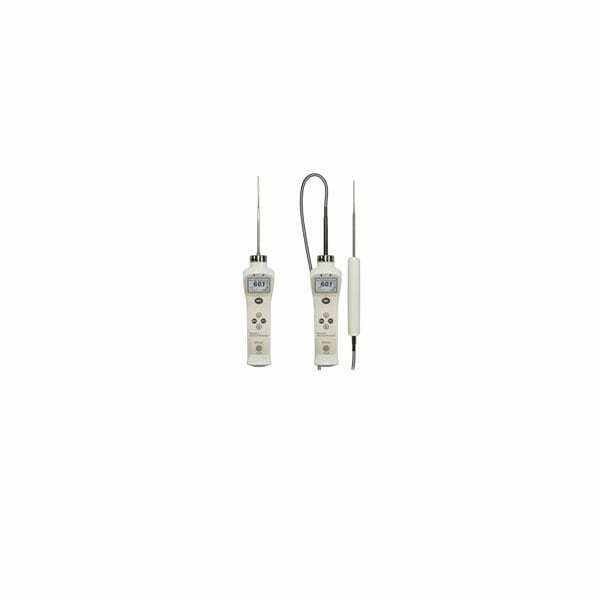 The TandD RTR-601 Food Core Temperature Data Logger is a wireless food core temperature data logger that is effective for HACCP-compliant temperature management for food safety. The water and oil proof design (IP68 rating) makes it ideal for use in food-processing environments. 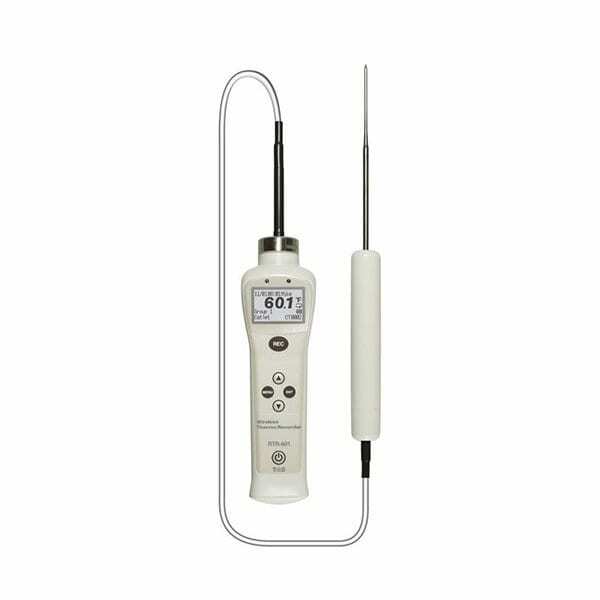 With the push of a button, the device records temperature, measurement time, user, item, and upper/lower limit judgment result. Recorded data in the RTR-601 can be periodically collected by the Base Unit (RTR-500NW/500AW) via wireless communication, and automatically sent to a designated e-mail address or an FTP server. 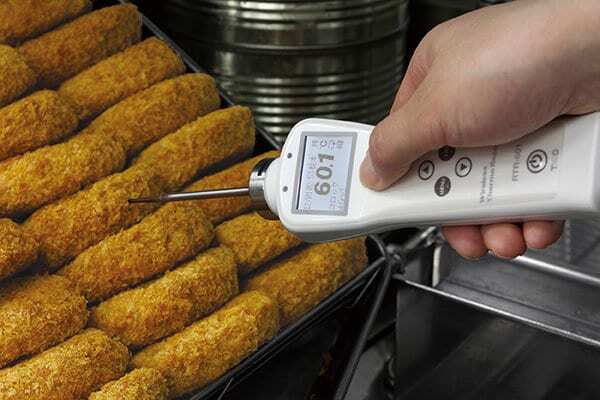 This makes it perfect for seamless temperature management. Note: The RTR-601 requires a battery charger dock. *1: A Battery Charge Dock (RTR-6BD) needs to be purchased separately. *2: Customers wishing to use the RTR-500 as a Base Unit, please contact your local distributor for the communications protocol specifications to write your own software. Measurement / Display Interval 0.5 sec. LCD Display Items Temperature, Current Date/Time, User, Item, Battery Level, etc. It’s never been so easy to share your recorded data via the Internet! T&D’s free WebStorage Service is perfect for processing and managing data recorded in remote places or for allowing several people to view the same recorded data at their convenience. Users can check the current conditions of data loggers such as battery level and radio signal strength between the Base Unit and Remote Unit. Recorded data can be transmitted to the WebStorage Service from any compatible Tamp;&D product. Data storage capacity is 20MB. Additionally, the data transmitted to T&D WebStorage Service can be accessed via your browser from anywhere, anytime, as long as an internet connection is available. Mobile device apps are also available for devices running iOS and Android.